Whiskey burns pleasantly as it goes down, but has a lasting, powerful effect. Whiskey is the story of two brothers, their parents, and three wrecked marriages, a searching audiobook about family life at its most distressed—about kinship, failure, enough liquor to get through it all, and ultimately a dark and hard-earned grace. 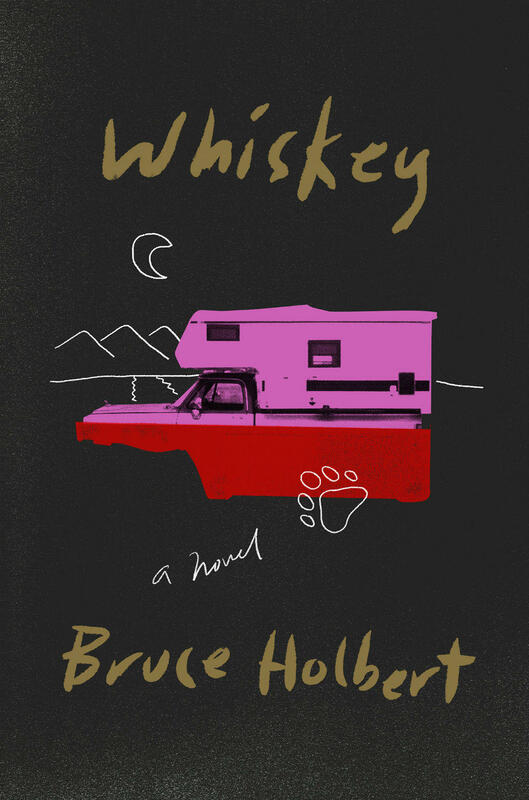 With the gruff humor of Cormac McCarthy and a dash of the madcap irony of Charles Portis, and a strong, authentic literary voice all his own, Bruce Holbert traverses the harsh landscape of America’s northwestern border and finds a family unlike any you’ve met before. The following highlights are from a conversation with Bruce Holbert about his book, Whiskey. To hear the full conversation, click the link above or subscribe to our podcast. Sarah Aronson: If this book were a murder ballad, which would it be? Bruce Holbert: Well, musically I think it would be “Long Black Veil.” Sense of humor-wise, “Delia’s Gone,” maybe. I love murder ballads, I used to teach them when I taught high school, and that was my way to get kids into poetry, or into ballads anyway. I think in those terms I tend to be a romantic and depressive at the same time. Yeah, so I have a strong affinity for murder ballads. In preparing for this interview, I did some reading and research and I’m aware there’s some violence in your own family history. Are you willing to talk a little bit about that? Sure. My grandfather was murdered by my great-grandfather when my dad was nine-months-old. And so my dad was raised by country music and hard work. As a result, when it came time for him to raise kids, he was a wonderful and attentive father, but you could sense moments of doubt in him. In fact, usually he’s a pretty comfortable person but there were moments where you could see he was trying to work it out. And then I was involved in a shooting with one of my best friends and my roommate in college. He was doing an internship for the Okanagan County Police and he offered me the gun he was using and I mishandled it. And it killed him. So, in a way—not at the time, but later I recognized—a sort of circle it made with my dad and myself. Well I think it was the relationship to sudden violent possibilities and the sort of stunned quality that goes with it. You’re stunned the rest of your life. My dad’s mom never talked about it. He started talking to me about it after she died, and he’s finally going to see old cousins and friends of his and collecting information--in part about that--and trying to figure out a way to get comfortable, or more comfortable with it. For him the stunned silence was the silence of growing up in a house where nobody really talked and everybody was broken, and for me, it was more being the one who did the breaking. Brothers Andre and Smoker were raised in a cauldron of their parents’ failed marriage and appetite for destruction, and find themselves in the same straits as adults—navigating not only their own marriages, but also their parents’ frequent collision with the law and one another. The family lives in Electric City, Washington, just a few miles south of the Colville Indian Reservation. Fiercely loyal and just plain fierce, they’re bound by a series of darkly comedic and hauntingly violent events: domestic trouble; religious fanaticism; benders punctuated with pauses to dry out that never stick. When a religious zealot takes off with Smoker’s daughter, there’s no question that his brother—who continues doggedly to try and put his life in order—will join him in attempt to return her. Maybe the venture will break them both beyond repair or maybe it will redeem them. Or perhaps both. Bruce Holbert is a graduate of the University of Iowa’s Writers Workshop where he assisted in editing The Iowa Review and held a Teaching Writing Fellowship. 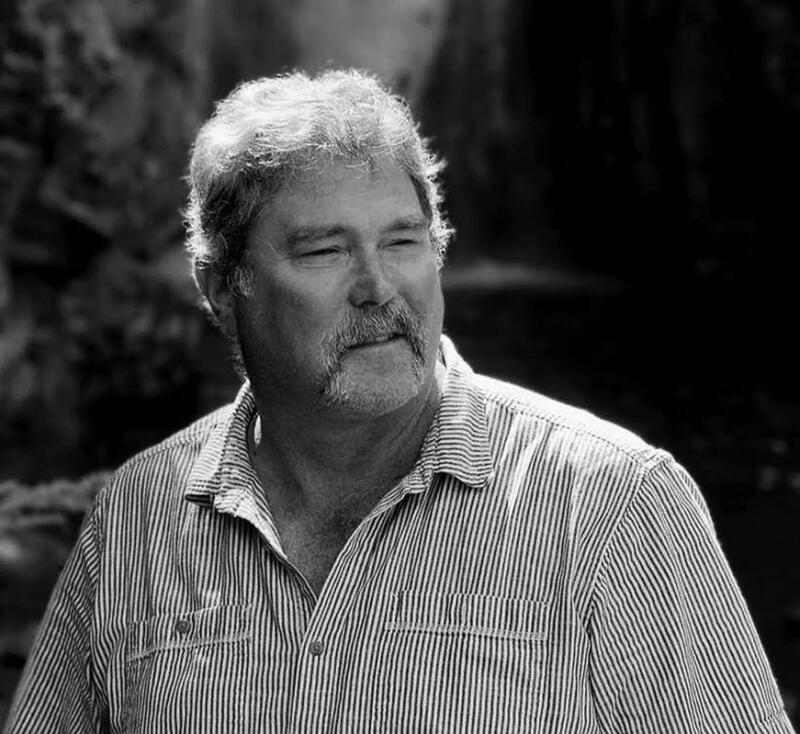 His fiction has appeared in The Iowa Review, Hotel Amerika, Other Voices, The Antioch Review, Crab Creek Review, The Spokesman Review, The West Wind Review, Cairn, RiverLit, Del Sol, and 94 Creations and has won annual awards from the Tampa Tribune Quarterly and The Inlander. His non-fiction has appeared in The New Orleans Review, The Spokesman Review, The Daily Iowan, Quarterly West, Ducts, The Sante Fe Writers Project, River Lit, The Portland Review, The San Francisco/Sacramento Book Review andThe New York Times and his poetry in RiverLit, The Bacon Review, The Big River Poetry Review. He recently co-authored, with his wife, Signed, Your Student (Kaplan Press) a collection of remembrances of influential teachers recounted by prominent Americans. His first novel Lonesome Animals was released May of 2012 by Counterpoint Press. Hour of Lead, his second novel will be released July 2014, again by Counterpoint Press. Holbert grew up in the country described in Lonesome Animals and Hour of Lead, a combination of rocky scabland farms and desert brush at the foot of the Okanogan Mountains. What once was the Columbia River, harnessed now by a series of reservoirs and dams, dominates the topography. Holbert’s great-grandfather, Arthur Strahl, was an Indian scout and among the first settlers of the Grand Coulee. The man was a bit of a legend until he murdered Holbert’s grandfather (Strahl’s son-in-law) and made Holbert’s grandmother a widow and Holbert’s father fatherless. Holbert’s paternal grandmother ran a one-room schoolhouse and the family ranch until she retired in the mid-Sixties and his maternal grandparents were among the immigrants who traveled west for the promise of New Deal work on the Grand Coulee Dam, where Holbert’s father worked, as well, operating a crane, for twenty years before his retirement. Holbert’s father worked construction jobs throughout Holbert’s youth – Holbert lived in 23 different towns before reaching the age of six. Grand Coulee though remained home. Holbert grew up in the shadow of the dam and in the shadow of the West’s mythology, which loomed even larger. His youth was spent as an oddity (he read books), though he committed enough minor crimes to eventually fit in. He graduated high school despite such habits and entered Eastern Washington University, where his greatest accomplishment as an undergrad was forging the signatures of three deans to garner placement in a graduate writer’s workshop, taught by Kay Boyle. By the time he was found out, he was one of Ms. Boyle’s favorites and she insisted he stay. Holbert eventually graduated from Eastern Washington University with a BA in English and education. He teaches “school resistant” students at Mt. Spokane High School. Holbert resides in Nine Mile Falls with His wife Holly and three children, Natalie 22, Luke 21 and Jackson 19, his dog, Tank, three cats, two pair of mated bald eagles. To learn more about Bruce, and see his alternate author photos, click here. 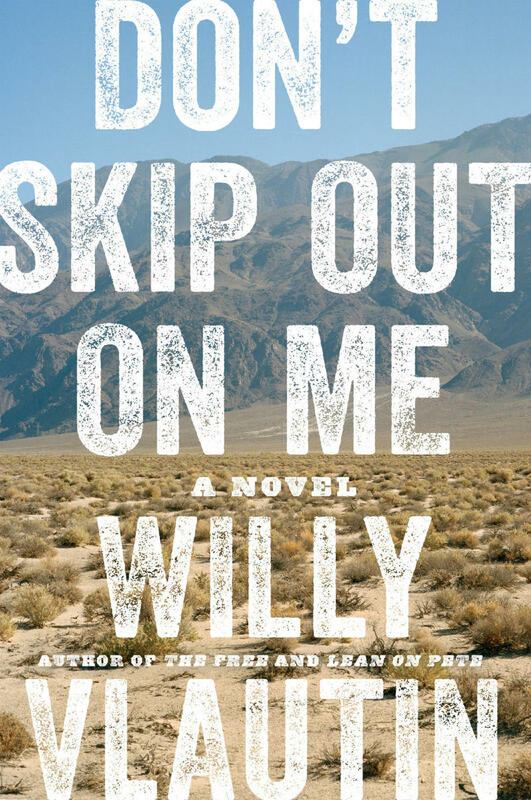 A moving story about a man’s search for belonging in all the wrong places, "Don’t Skip Out on Me," is an understated yet powerful exploration of identity and loneliness pulled from deep within America’s soul. Publishing for the first time in hardcover, award-winning author Willy Vlautin follows in the footsteps of his earlier beloved novels, delivering another emotionally raw tale of a tragic and beautiful life. "I think probably every writer, at some level, has 'the story' that’s just compelling and it’s the thing you just can’t stop picking at," says author Carrie La Seur, "And so even the third novel that I’m working on now—that’s very different characters and very different places—there’s a theme of exile and return and tension between the “leavers” and the “stayers.” That must just be my story, that’s the thing I can’t stop writing about even when I very deliberately take off in a different direction. 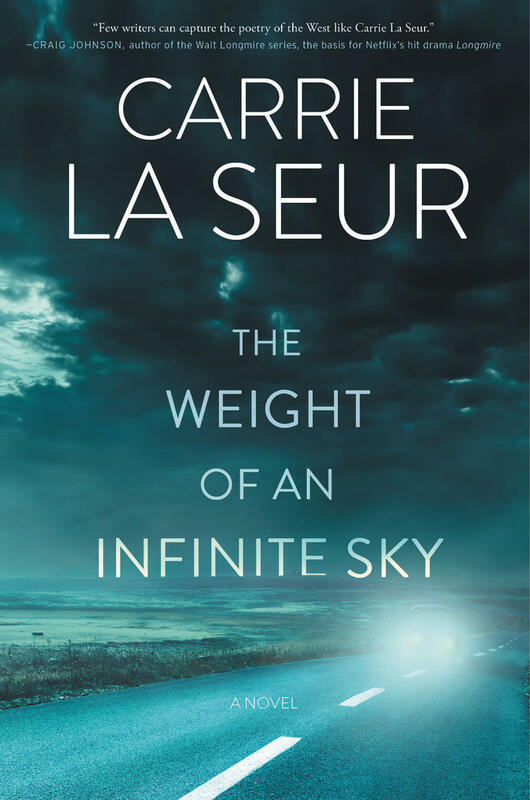 Listen in now for more on "The Weight of an Infinite Sky" with Carrie La Seur.